- Circulatory water bath with microprocessor based programmable PID controller with PC interface. 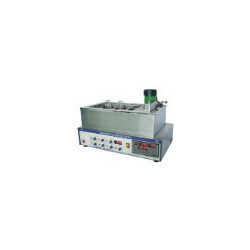 - Multi magnetic stirrer bath is provided with individual electronic speed controller. - Construction : Complete made of Stainless Steel. Maximum Speed Range (RPM): 1500 approx. 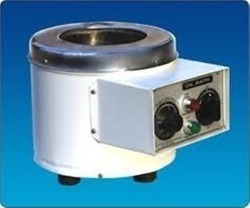 Oil Bath is specially designed with seamless stainless steel inner pot. Outer is made of stainless steel & gap between two wall filled with high heat resistive cera wool insulation 96 density with 1200 º C Temperature resistivity.